Does finding your soulmate feel as if it's taking forever? So you want help finding your soulmate? Great! You're in the right place. Before we dive in... are you completely, totally, crystal clear on what I mean by soulmate? If not, you may want to explore my take on soulmates first. To do this, consider reading what is a soulmate. Hint: it's not at all gooey romance like Hollywood says. Okay on we go! In this section, I cover answers to the most common questions about finding your soulmate. Plus, I'll tell you the single most powerful thing you can do if you want to fast-track your unique soulmate search. Soulmate myths: Have you heard this before? Do the well-meaning people in your life have strong opinions on what you should be doing while finding your soulmate? Often these well-meaning opinions are laced with sticky stuff you don't want. Things like their judgement of you, shaming you and even declaring their own (quiet) supriority. These things weaken your soulmate search (your body knows)... so you may want to be cautious about who you share this soulmate soulmate stuff with. Nuff said. Funny thing... I actually know someone who met their soulmate in their living room: an old friend came over unexpectedly... with the (now) soulmate in tow! Isn't that a hoot? Now THAT's what I call good love karma! Though I wouldn't count on that happening, it just goes to show that everyone is different. Human beings will meet soulmates in all kinds of mundane, surprising and serendipitous ways. And... the way you'll meet your soulmate is unique too. As unique as you are! Reading or listening to true soulmate stories can help you keep the faith as you're seeeking your soulmate. Have you read Dr. Brian Weiss' book Only Love is Real: A Story of Soulmates Reunited? Dr. Weiss is a Miami psychiatrist, who has done thousands or past life regressions. 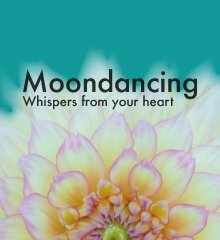 His book shares an inspiring and encouraging true story for those in the process of finding their soulmate. In Only Love is Real, Dr. Weiss tells the story of recognizing eerie similarities in the past lives of two of his past life regression patients ‘Elizabeth’ and ‘Pedro’ (each struggling with loneliness). He suspected that they might be soulmates, even before they knew it. After carefully weighing whether or not he should interfere, he discreetly arranged back-to-back appointments so they'd meet in his lobby. Initially, there was no spark. A few weeks later, Elizabeth and Pedro ended up on the same plane when Elizabeth's flight was re-routed. During some turbulence, Pedro took her hand, sealing their connection. Today, these two lovely people, who struggled for years to find the right relationship, are married, with a family. Soulmates, reunited. According to Dr. Weiss' book (a beautiful read by the way, it brought me to tears), you can be sure of one thing: if your soul really wants you to find your soulmate, you will. So the key is trusting yourself as you wait... in anticipation. Of course, this is easier said than done. While you're waiting for your soulmate, sometimes it can feel like it's taking forever! You don't know how, you don't know when. You may even feel helpless to make things happen. What I'm here to share is that there's actually lots of ways you can get busy at attracting your soulmate! In ways that don't cost thousands of dollars. In ways that are unique to your soul. This isn't magical thinking. It is conscious, focused attention. Because everything and everyone... when you break it all down, is energy. And... the more we can raise our vibrations, the better, for our emotions, our health... and our love lives. Here are three books I recommend for finding your soulmate. Check them out. Which resonates for you now? Buy that one, study it and put it into practice. 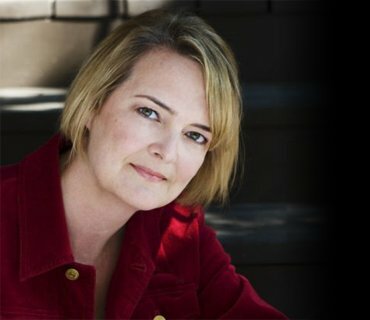 Calling in "The One": 7 weeks to attract the Love of Your Life, by Katherine Woodward Thomas. I've even heard of people that compare finding love to an ‘executive search’ process! Then there's coffee dating, speed dating, you name it. I'm not knocking any of these things. If you're inspired or called to do them, trust your own intuition. Keep in mind, though, that big numbers and ‘getting out there’ are just one piece of the puzzle. Remember Jen Schefft from The Bachelor and The Bachelorette a few years back? She had dozens of gorgeous men to choose from and a television show. She had not only one, but two chances to find ‘the one’ and she didn't! So her publicist helped her make ‘lemonade’ out of lemons, by writing book on ‘not settling” . Jen was unlucky in reality TV love. But she finally found love on her own. In 2005, she was set up with Joe Waterman on a blind date. They were married in 2009. I can't comment on Jen Schefft personally of course, but my point is that for some, finding your soulmate is more than just a numbers game. There's much, much more going on beneath the surface. Yet one experience will lead you ot the next... if you keep searching. Think of the word soulmate. Notice that it's not ‘sole mate’. Yes you're here walking the earth together, but the reason you're together is because of your soul(s). So - if you want to meet your soulmate, it makes sense: get to know your soul. You'll put yourself on the life path where your soulmate lives. And you'll enjoy a contented, meaningful life while you get ready to meet him or her. Edgar Cayce was a big part of my early spiritual awakening journey. I highly recommend exploring his material on soulmates, if you haven't already (look to the section on this site on Edgar Cayce) - it's fascinating and could even be life-changing. In my view, the most important question to ask yourself during a conscious search for your soulmate is: Who do you need to be to meet your soulmate? To reveal this, you can use many approaches, including talented intuitive coaches, numerology or (my choice) karmic astrology. For example, I'm a heavy-Capricorn (Sun, Mercury, Mars and South Node). So, yes, I'm business focused, big on planning and working hard. This is a good thing, but it isn't my life purpose. I'm here to learn something that's not easy for me: to trust, and to understand my emotional life. How do I know this is true for me? When I reflect on my life, I realized that, without exception, the positive turning points in my life, whether a person or an experience, weren't planned. They all came easily toward me. They flowed. Now not everyone's here to learn how to flow. You may be here to learn how to plan or take charge! But can you imagine how knowing your soul purpose might impact how you go about finding your soulmate? I suggest you do one critical thing: find out everything you can about what your soul wants of you. Why? Because that's where your soulmate lives. What is your soul mission (soul purpose)? Soul purpose. Life purpose. Soul mission. These aren't just new agey buzzwords. This is the key to finding your soulmate. As American clairvoyant Edgar Cayce said, soulmates are here to be our ‘helpmates’ for soul growth. So to find a ‘soulmate’, you need to align yourself with your soul's direction. Personally, I've found numerology helpful. Selectively, intuitive readings. 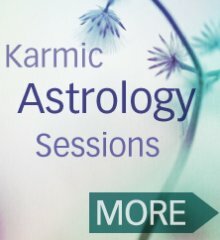 Karmic astrology, also known as esoteric astrology or spiritual astrology is also a powerful way to learn about your soul, an approach I've used frequently (Hint: there's a ton of information on how you can get your soul mission information on this site). Read my step by step instructions on how to reveal your soul mission using karmic astrology. I've spent many hours creating this section of my site, including 24 detailed descriptions of North Nodes (Soul Missions) by sign and house. Some folks have written to say that it's the best summary on the web...decide for yourself! So how does this feel to you? Does it make some sense? Whatever you decide to use to discover the mysteries of your soul, I KNOW (just because you've read this to the end) that you're already on your way to finding your soulmate. Keep exploring! Each one of these easy to read, heart-healing articles has a slightly different slant. What are you drawn to today? Where is my soulmate? – A heart-soothing article for when it feels like it's taking too long. Who is my soulmate – It's normal to ask. Read some juicy excerpts from my novel Moondance... when my main character Althea is figuring this question out for herself. When will I find love – Can a psychic predict when you'll meet the love of your life? The pros and cons of prediction (and a powerful question you can ask instead). Soul mate magic – A powerful soulmate manifestation exercise you can do immediately. How to find true love – What to watch for when you're seeking your soulmate and signs that may guide you to recognize yours. True love tips – Ten ways to create true love... and keep true love flowing.